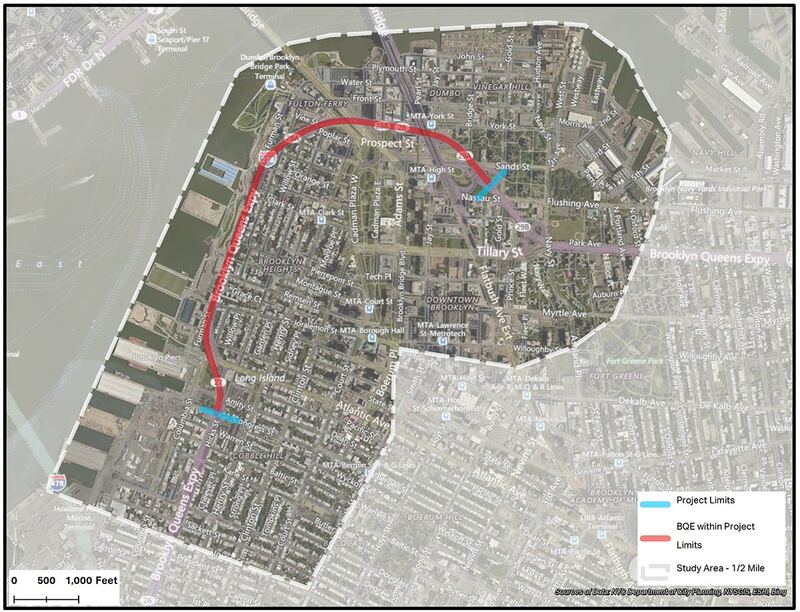 The project addresses the portion between Atlantic Avenue Interchange in the south/west and Sands Street in the north/east. The portion of BQE being included in this project was built in 1940s and 1950s under multiple construction contracts. Click here for more historical information. The structures have only received minimal rehabilitation since their construction. 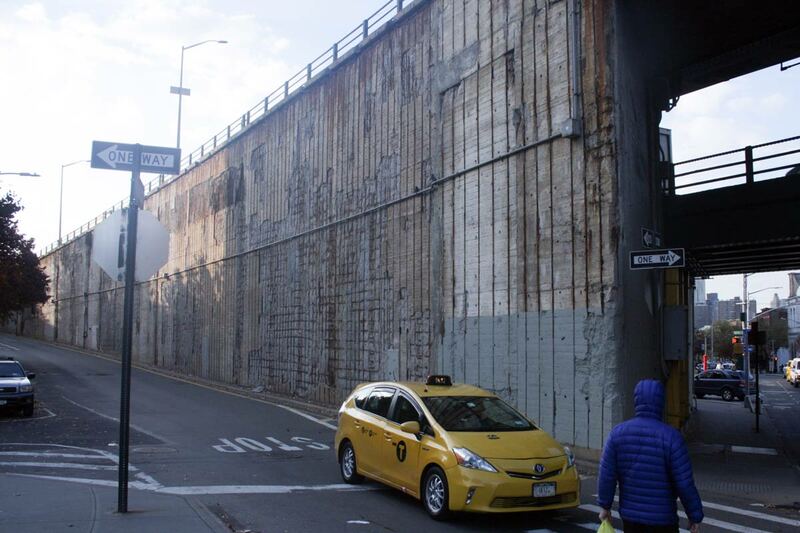 New York City Department of Transportation (NYCDOT) is leading the effort to address the deteriorating conditions of the bridges, roadways, and ancillary structures associated with Brooklyn’s only Interstate highway. New York City Department of Parks and Recreation (NYCDPR) is an active partner as the Brooklyn Heights Promenade is under their jurisdiction and several parks that are in or adjacent to the project. The project aims to maintain safe and efficient regional and local connectivity for the traveling public and to provide for the movement of goods and services along this important regional and local roadway. It will also address, and where possible improve, connections to the adjacent bridges, intersections, and pedestrian crossings. 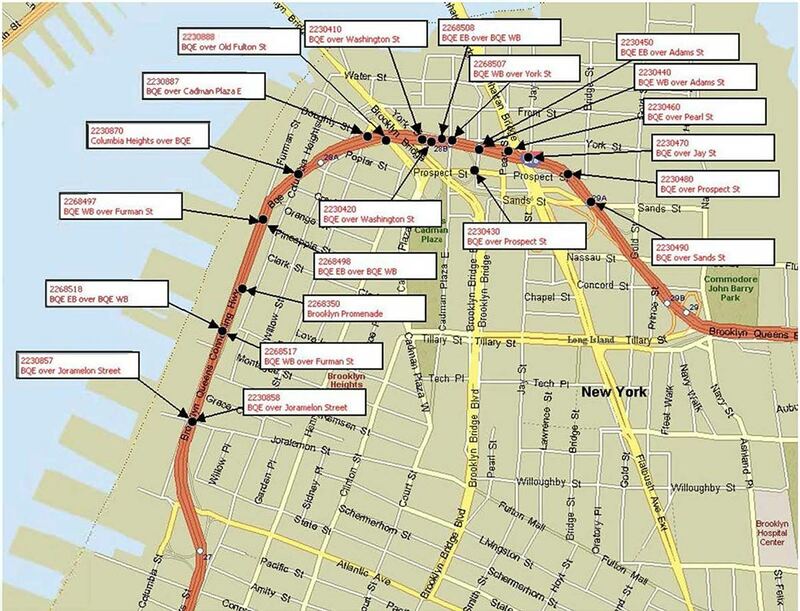 The graphic above indicates the 21 BINs (an abbreviation for Bridge Identification Number) and identifies the many interconnected bridge segments of the BQE between Atlantic Avenue and Sands Street. The 1.5 mile section of the BQE that will be rehabilitated as part of this project includes multiple bridge structures including the historic 0.4-mile-long “triple cantilever” and many other ramps, and retaining walls along the interstate corridor. 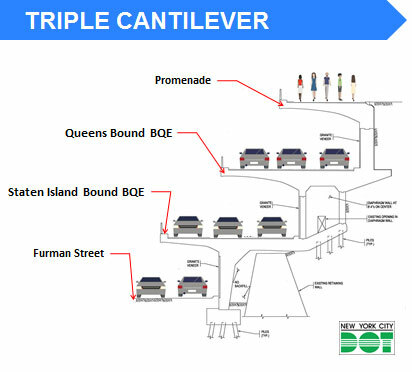 The Triple Cantilever, 0.4 miles long, was built between 1944-1948 and carries the BQE on two cantilevers: three (3) lanes Eastbound above three (3) lanes Westbound with the Brooklyn Promenade on top. This BQE section also offers connections to the Manhattan Bridge; the Brooklyn Bridge; Brooklyn Bridge Park; north and east to Queens; and south and west to Staten Island and New Jersey. 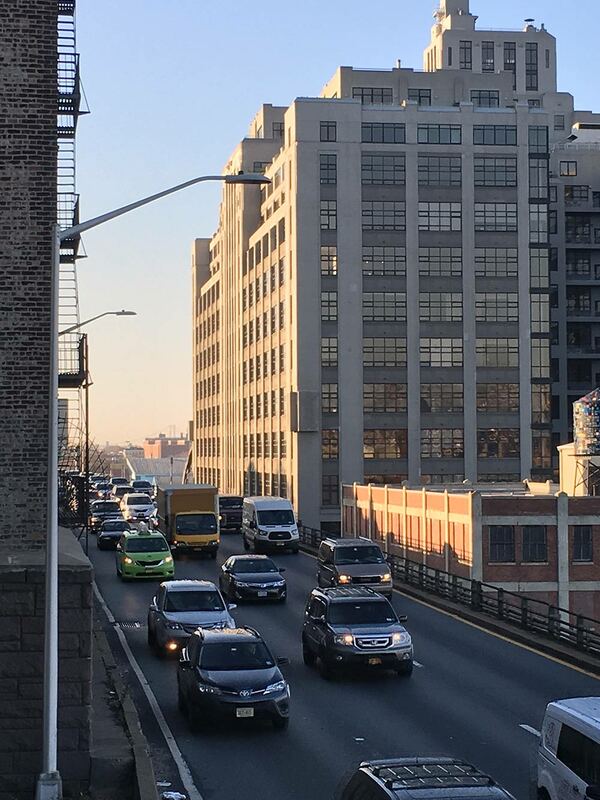 As Brooklyn’s only Interstate highway, the BQE is an essential component of the region’s transportation network. 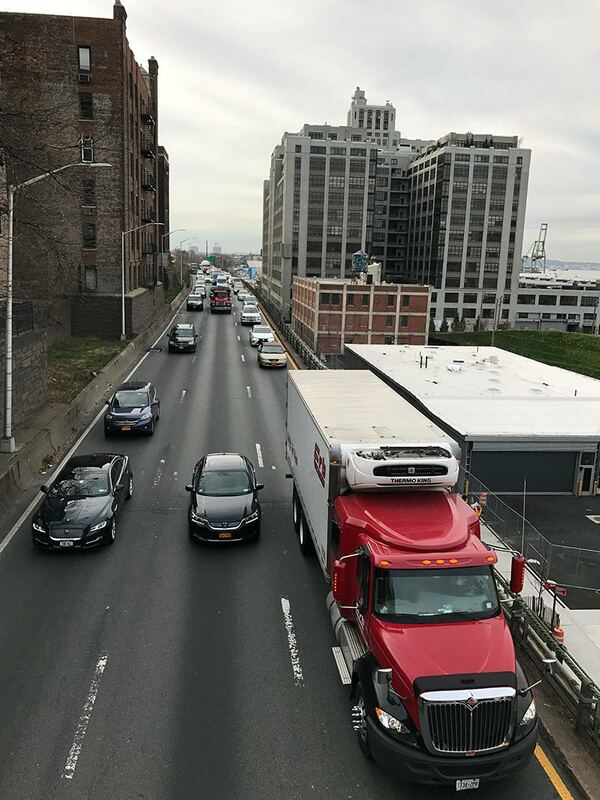 It not only serves to connect Brooklyn with key access points in Manhattan, Queens, and Staten Island, but it also alleviates regional truck and other traffic from local Brooklyn streets. 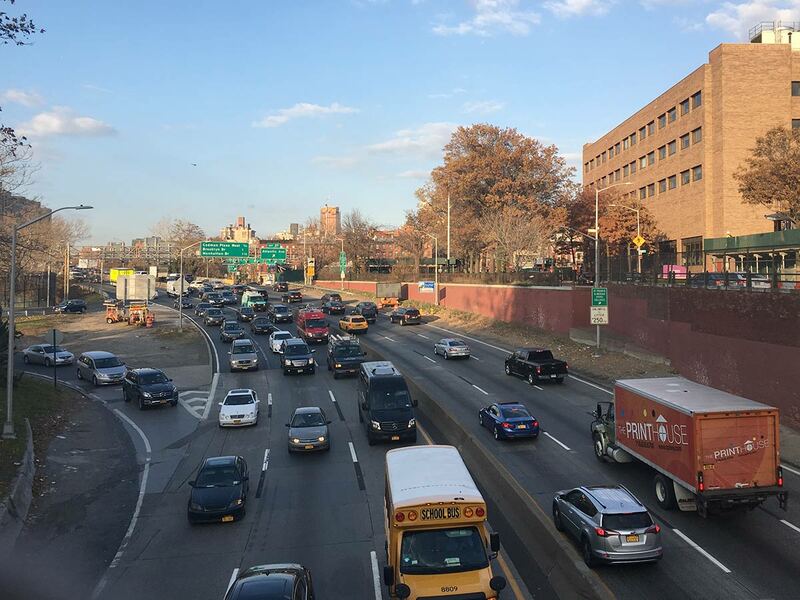 As such, the BQE sees an annual average daily traffic of more than 153,000 vehicles; and it has a crash rate of up to ten times the average crash rate across New York State. 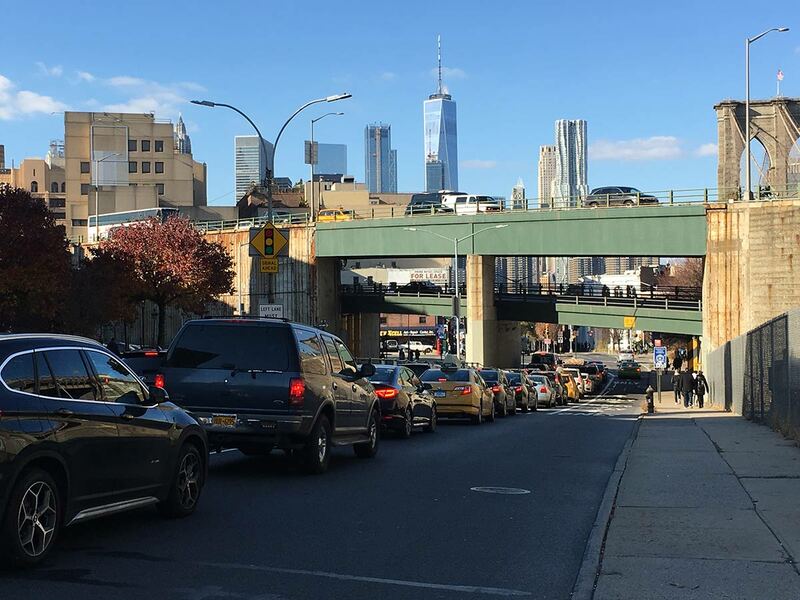 The origins and destinations of the traffic were studied by NYCDOT in 2015-2016 and the findings were shared at a public information meeting on June 20, 2016; for additional information click here. In 2016, NYCDOT conducted an in-depth inspection of the structures within the corridor. If significant repairs and replacements are not made by 2026, vehicle-weight limits and truck diversions may be necessary. On March 30th, the New York State legislature included language in the official state Budget that allows the BQE-Atlantic to Sands project to proceed using Design-Build.